Earlier this month we received reports claiming that Valve was making their own gaming hardware. For those of you who don't already know, Valve is the company behind the Half Life series and the PC game delivery service known as Steam. The rumored Valve Console, dubbed the "Steambox," would essentially bring PC gaming to the living room TV. Of course no living room box is complete with out a decent controller. The picture you see above was leaked to the internet by a daring Reddit user. 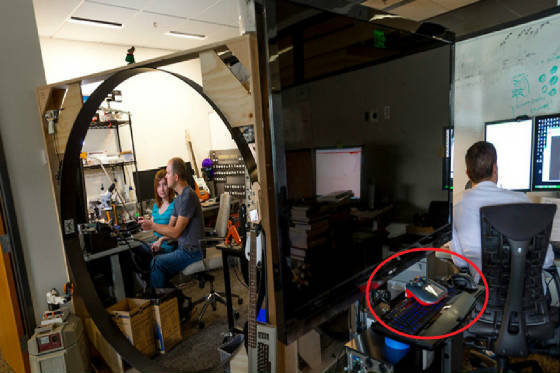 Taken inside the Valve office, we can see a controller that bears a slight resemblance to the Xbox 360 controller, only with the added screen. We can also see a few unusual items around the office, including a modded Commodore 64 electric guitar. Initial speculation seems to suggest that this controller might be used on the next Xbox console, or Xbox 720 as it's been dubbed by the press. The obvious resemblance to the 360 controller is apparent. It even has the same colored buttons. The screen placement also reminds us of the Xbox 360 chat pad. And strangely enough, the overall shape reminds us of the Atari Jaguar controller. Upon closer examination of the original leaked photo we find several tantalizing clues. First we see the obvious big screen TV. 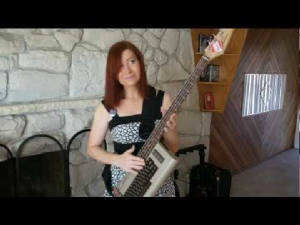 We also have the infamous Commodre 64 guitar and it's creator Jerri Ellsworth. Sources have claimed this picture was taken in her office. It only makes sense that a person known for modding might also be involved in the development of new hardware. More importantly we see what appears to be a sketch of a controller that closely matches a leaked patent image for a controller created by Valve, that was revealed earlier this year. [Source] You can see the rough sketch in the upper right hand corner of this picture, along with an insert shot we have included showing the leaked patent image. This leads us to believe that what we see here is not just a simple controller mod, nor is it the controller for the next Xbox. 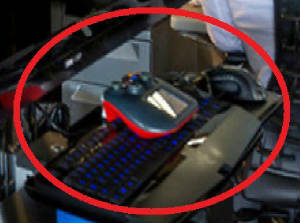 What we see here could very well be the controller for the Valve Steambox console. We have to consider the viral angle when we look at the original photo and how it was leaked to the web. Valve is a small company and most employees sign a non disclosure agreement when joining the company. One could say that working for Valve is a dream job. It's hard to believe a person would jeopardize their position at Valve just to leak this image. I also don't think it would be hard to figure out who leaked the photo in question. We also have to look at some of the blatant clues and possible red herrings in this photo. 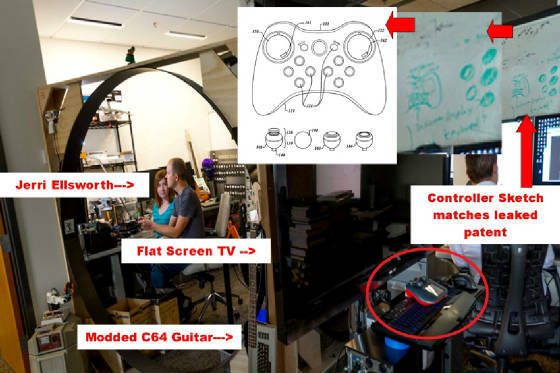 The C64 guitar, the controller sketch, the dubious placement of the new controller. It all screams viral. And of course, this entire drama has played out on the usual websites and message boards, which are full of anonymous people you will never meet in real life. This photo may have been deliberately leaked for two reasons. The first is to get people talking about Valve products and the possibility of a Steam Box console. The second is to gauge public response to the controller itself. You simply leak the photo to the usual message boards and news outlets and then you monitor the response from the general public. It's a great way to test the waters for a new product, plus you also get a lot of free publicity. The leaked controller image also arrives just as the new 'Steam Big Picture mode' is being revealed to the world. This new software makes it easy to play PC games and browse the web on your living room TV. It has a simple user interface that is easy to navigate and works well on a big screen TV. And the whole idea is built around traditional gaming controllers. Could this controller be used primarily for Steam's new big picture mode? Could it even be used to enhance the user experience? Watch the reveal video and decide for yourself. About The Author: E.Thomas is our resident investigative reporter. He will go to great lengths to get a story, even if it means dealing with lawyers, ninjas, and deadly lawyer-ninjas!